The Primary Purpose Group was founded on January 26, 1988 with one specific purpose in mind and that was to bring the focus of our meetings back to the Program of Alcoholics Anonymous. That is to learn what is in the Big Book. Some of our members had been around for a number of years and had witnessed a very stark reality. We had seen our success rate with long term sobriety slip from, “Rarely have we seen a person fail who has thoroughly followed our path” to seldom do we see a person recover from a seemingly hopeless state of mind and body. We had watched the groups we were betting our lives on downsize or become history. We were not realizing the Promises of the Program of Alcoholics Anonymous. We were confused and were not comprehending the word serenity nor were we enjoying the peace we once had. Then “The Arkansas Travelers,” Joe McQ. & Charlie P. came to town and after a weekend of listening to these two men, it became clear why we weren’t happy in our sobriety. Our efforts to have the groups we had been supporting include an in-depth study of our Basic Text in their meeting schedule found no favor. Consequently, our only avenue of self preservation was to found a group that would guide us back onto the Broad Highway. “Having had a spiritual awaking as the result of these steps, we tried to carry this message to alcoholics,…” We had been trying to have a spiritual awakening as the result of meetings. It wasn’t working. “My friend had emphasized the absolute necessity of demonstrating these principles in all my affairs. Particularly was it imperative to work with others as he had worked with me.” AA, pg. 14. Ebby T., two months sober, had to search out, go to and approach Bill to carry his message of hope. “I was not too well at the time and was plagued with waves of self-pity and resentment. This sometimes nearly drove me back to drink, but I soon found that when all other measures failed, work with another alcoholic would save the day.” AA, pg. 15. Bill had to search out, go to and approach suffering alcoholics to preserve his sobriety. And finally, Dr. Bob reported why he was so active in trying to help others find sobriety. With this main theme in mind, we began to search out, go to and approach those who suffer and try to carry the same message of hope that the First One Hundred passed onto us. We have three meetings a week to learn what to do and what we have learned is put into action the other days and nights of the week. Members of our Group are currently carrying the message found in our Basic Text to over two dozen wind-up places on a committed and weekly basis. As Joe McQ. Said, “If such a group was active in every community, it would make a big difference in the lives of many alcoholics and those who love them.” We have found that to be true. 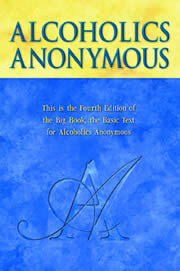 “Having had a spiritual experience as the result of this course of action, we tried to carry this message to others, especially alcoholics, and practice these principles in all our affairs.” This is Step Twelve as Bill wrote it in the Original Manuscript and as published in the First Printing of the First Edition of the Basic Text for Alcoholics Anonymous. With this thought in mind, our meetings are “Open” meetings so all who have an interest in learning about the Program of Alcoholics Anonymous are welcome.